Having a stronger bond with nature can alleviate a number of mental health issues for children, a new study reports. The more connected to nature they are, the less likely they are to suffer from hyperactivity, distress, and behavioral problems. Many parents feel that an overly urban lifestyle is severely detrimental to the development of children, and a new study suggests that they are, at least partly, correct. Increasingly, physicians and psychologists have started to pay more and more attention to this phenomenon, and many environmental programs around the world hope to (re)connect children with nature. For instance, the World Health Organization (WHO) summarized scientific evidence highlighting the benefits of green spaces for children. The WHO recommends that all children have green spaces within 300 meters (1,000 feet) of their home for recreation and play. But in some cases, even when these green spaces aren’t available, they are not being used. “We noticed a tendency where parents are avoiding nature. They perceive it as dirty and dangerous, and their children unfortunately pick up these attitudes. In addition, the green areas are often unwelcoming with signs like “Keep off the grass”, said Dr. Tanja Sobko from the School of Biological Sciences of the University of Hong Kong and author of the new study. Sobko and colleagues developed a 16-item parent questionnaire to measure “connectedness to nature’ in very young children. The test focuses on four aspects: enjoyment of nature, empathy for nature, responsibility towards nature, and awareness of nature. They carried out the questionnaire with 493 families with children aged between 2 and 5, in conjunction with the Strengths and Difficulties Questionnaire — a well-established measurement of psychological well-being and children’s behavior problems. The scientists found that children with a stronger connection to nature had less distress and hyperactivity, as well as fewer behavioural and emotional difficulties and improved pro-social behaviour. Remarkably, children who took greater responsibility towards nature also had fewer difficulties connecting and relating with their peers. Mental health problems affect about 1 in 10 children and young people worldwide, but the percentage can vary significantly by geography. In China, for instance, up to 22% of preschoolers show signs of mental health problems. Having green spaces can be a surprisingly effective way of alleviating these issues, making for happier and more peaceful children. This isn’t the only project of this type Sobko has worked on. She is also involved in a Hong Kong research-based project called Play&Grow — the first in Hong Kong to promote healthy eating and active playtime with preschool children by connecting them to nature. 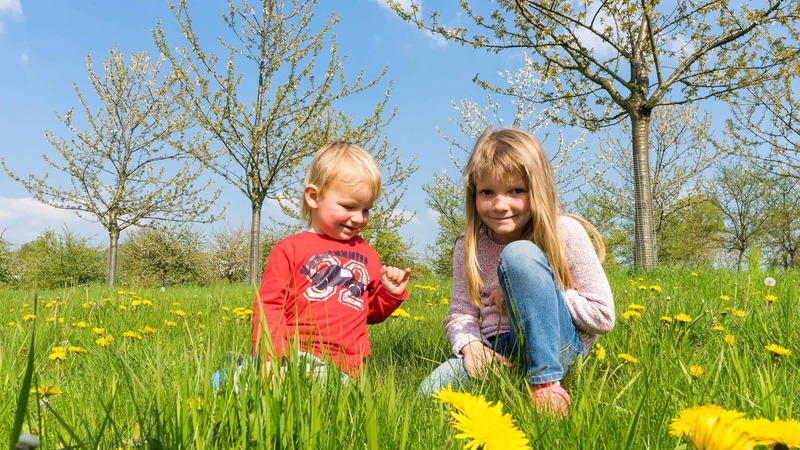 The study “Measuring connectedness to nature in preschool children in an urban setting and its relation to psychological functioning” has been published in PLoS.